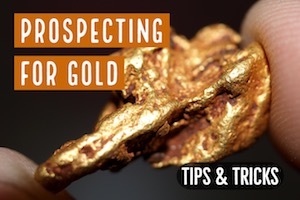 The King Tut and Gold Basin area in Mohave County has long been one of the favorite places for prospectors to search for gold. 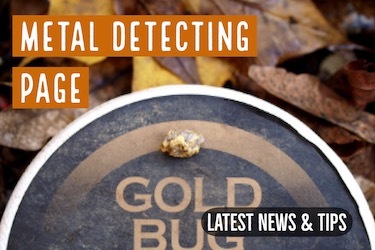 The area is a great place to detect for gold nuggets along with meteorites as well. We’re going to look a little deeper at the Gold Basin area so you’ll know what you could expect to find when you are prospecting this area. It is situated in relatively close driving range from Phoenix and Las Vegas and this should be ideal for those looking to take a trip and spend the day in the hot summer sun looking for potential gold and meteorites. 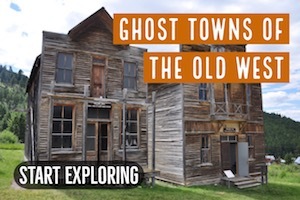 The area has been known for producing gold in quartz since the 1870’s, but it wasn’t until the 1930’s, during the Great Depression, when prospectors really started prospecting the area with earnest. The area is fully riddled with dirt roads and this includes getting to the famous King Tut area as well. In the early 1930’s around 100 men were testing the fields with dry washers, but as soon as the rainy winter season came into full swing, many of them departed the area. Mining continued in the desert south of the Colorado River for several more years. Most miners didn’t make their fortune, but during the Great Depression, they were able to make what was considered a decent wage for the time. Since the area is not too far from Las Vegas, many prospecting clubs and individual miners have claimed a lot of this country. There is still unclaimed land that has gold though. 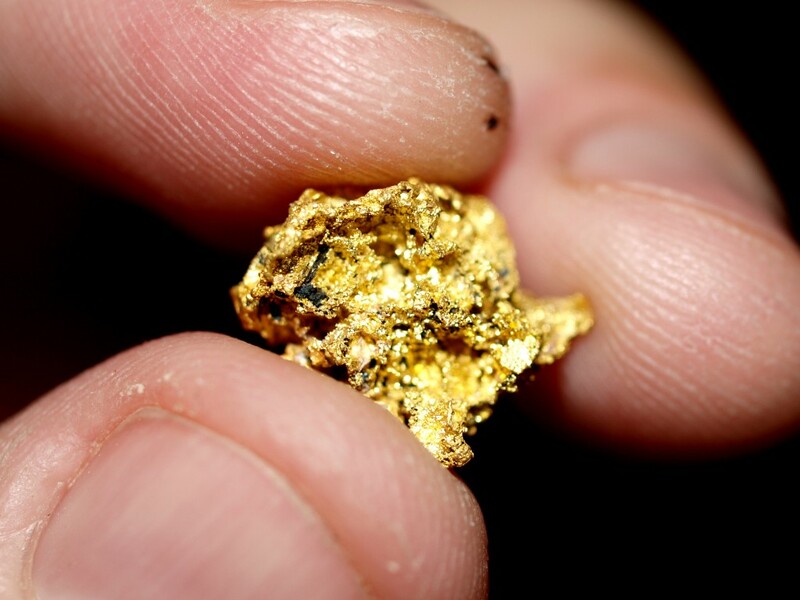 The gold nuggets found in Gold Basin are known to be very widespread. 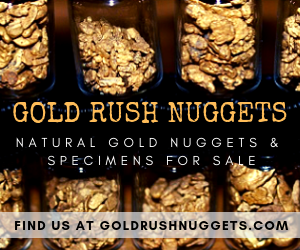 Gold is the predominant mineral found in these areas and the largest nuggets found in this area have been around 4-5 ounces, but these are still very rare and lucky finds. Most nuggets you will find are quite a bit smaller. Nuggets are pretty rare after all. The gold in this area is derived from small quartz veins that are found in the Precambrian metamorphic rocks. Even though most of the early prospecting in this area was done with drywashers, metal detectors have become increasingly popular in the region. 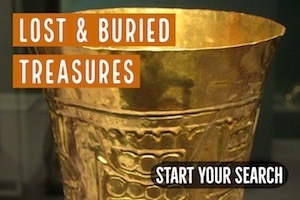 Since the invention of pulse induction metal detectors (capable of handling the highly mineralized soil), more and more gold has been found. Even after decades of metal detectors in the area, people still find some nice gold nuggets here. While metal detecting in Gold Basin, you might run across some rocks that will sound off loud on your metal detector. Don’t be too quick to toss these aside, because they might actually be meteorites! The iron found in these meteorites will set off the metal detectors. The Mojave Desert has actually become a hot spot for finding meteorites. Gold Basin and the King Tut area in Arizona have been productive for miners for over a century now. 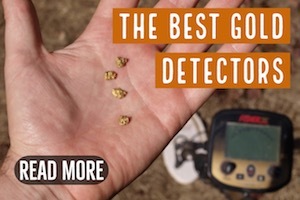 With the development of good quality metal detector that can handle these mineralized soils, more and more gold nuggets are being found. 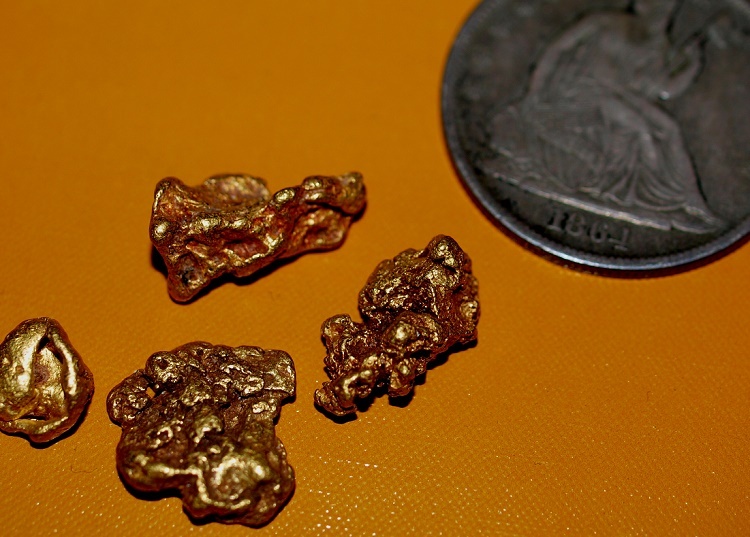 Most gold prospectors consider the meteorites to be an added bonus. They are randomly scattered about the desert, so if you spend enough time hunting in this desert you are likely to run across one.